BRAHM is excited to coordinate a tour of the Hickory Museum of Art's current exhibition A Grand Vision: Elliot Daingerfield Paints Grandfather Mountain and the Gray Canyon. This special tour will be led by Elliot Daingerfield's grandson and BRAHM patron, Joe Dulaney. Attendees will meet at BRAHM at 9:30 am to carpool to Hickory. Members are also welcome to meet at the Hickory Museum of art at 10:30 am. Following the tour, we will all meet for lunch BOCA restaurant (dutch treat). 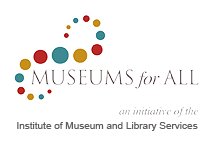 Please RSVP by registering here or by calling the museum. Tickets to the tour are $15/person. Carpools will be arranged by BRAHM. When registering, note whether you are willing to be a driver, a passenger or will be driving yourself. Please reserve your spot on the tour by 2/8/19. Note whether you would like to stay for lunch. Image credit: Elliott Daingerfield (1859-1932). 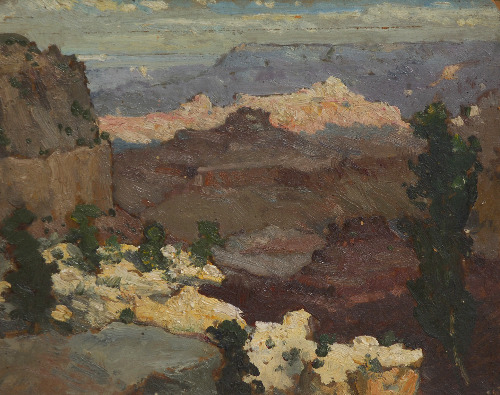 "Study for the Grand Canyon," 1911. Oil on board. Permanent Collection, Blowing Rock Art & History Museum. Gift of Lamont & Cora Ann Hudson. 2006.02.03.